The Scotch whisky industry has hailed a “legal breakthrough” in China after winning a lawsuit against a packaging firm creating bottle tops for fake Scotch whisky. Industry body the Scotch Whisky Association (SWA) sued Anhui Guangyu Packaging Technology Company in eastern China’s Anqing Intermediate People’s Court for creating bottle caps imprinted with the words “Scotch Whisky” that were then used to seal counterfeit bottles. The court has upheld the SWA’s complaint that Anhui Guangyu breached intellectual property rights and granted an injunction against the company, which must now pay damages and costs. The ruling marked the first time that the SWA had won a case in the Chinese civil courts and sent a “clear message to other would-be counterfeiters”, the SWA said. This was also the first time the organisation had “disrupted the cross-border supply chain”, since it previously only taken action again products manufactured and sold in China. In addition, the SWA heralded the case as its first successful lawsuit against a packaging manufacturer in its efforts to combat counterfeit Scotch whisky. No complete bottles of fake Scotch were discovered in the investigation, but the SWA claims that more manufacturers of fake spirits split the production process between different locations to reduce the chance of being caught. “This victory in the Chinese civil court is significant for a number of reasons and should be seen as a legal breakthrough. We are confident this will help deter other potential counterfeiters and fraudsters in China,” said Lindesay Low, SWA legal counsel. 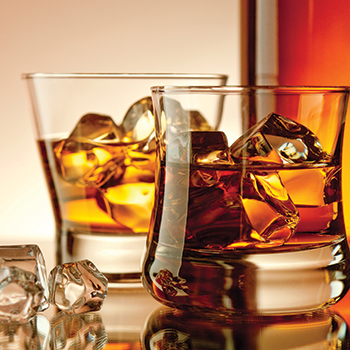 This marks the second victory for the SWA this week after it celebrated the landmark agreement of 17 African countries to register Scotch as a product with geographical indication (GI) status.